I know it’s been a while since I did an “on the bookshelf,” but that’s mainly because I haven’t been getting much in of late, but I figured it was time to mention some of the recent titles that have arrived and that I’m really excited about. 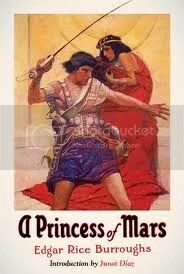 So we start off with a beautiful new hardcover edition of Princess of Mars by Edgar Rice Burroughs, from the Library of America. Having never read it, and after loving the movie, I’m looking forward to this one. Also have a new one from Daniel Suarez, author of the awesome and bestselling Daemon and Freedom. 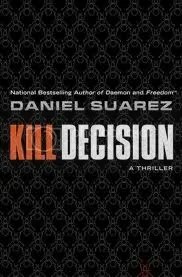 Kill Decision comes out July 19th. And then a new scifi book from Nancy Kress, After the Fall, Before the Fall, which is a combination eco-thriller and time-traveling book; what’s not to like? 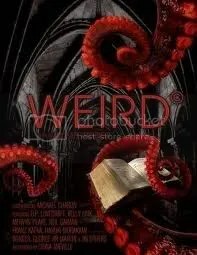 And finally we have The Weird, an amazing, massive anthology from the greats, Ann and Jeff VanderMeer, collecting a ton of stories that are simply just weird, from the beginning of the 1900s on up to the present. Seems like Christmas came a little early for me this year, as I have two books I’ve been anxiously waiting for: Discount Armageddon by Seanan McGuire and Cruible of Gold by Naomi Novik, which don’t officially get released until March 2012. Plus a pretty new translation of The Iliad by Stephen Mitchell, and a cool human origins book that looks fascinating. Think of it as Settlers of Catan the book, which is exactly what it is, from a German author — Rebecca Gable — who has studied Old English and is a big fan of the Middle Ages. And then there is Theft of Swords the first (joined) volume of the Riyria Revelations from Orbit Books (originally published as The Crown Conspiracy and Avempartha). New anniversary editions of The Once and Future King and The Last Unicorn, neither of which I’ve ever read, so looking forward to those . . . but first the big 800+ of 11/22/63. The new one from Umberto Eco, which sounds real interesting, and maybe I’ll finally read my first Umberto Eco book! And then we have a certain well known book by Chris Van Allsberg with some truly unforgettable images, and Stephen King happened to write a great short story off of one of them in Nightmares & Dreamscapes, and now 13 other authors have done the same and we have this great collection of stories on these images, featuring original writing by Sherman Alexie, Kate DiCamillo, Cory Doctorow, and more. The new Haruki Murakami, a whopping 900-pager! The original Fire Upon the Deep from Vernor Vinge, and Brandon Sanderson’s “novella” he wrote in between books set in the Mistborn world.